I had to remove the images as there was personal information in them that I prefer not to share on the website. I'll figure out how to post images another way. I hope. Wow, that's quite a surprise from your compost pile! I'm no expert on veggies but it sure looks like butternut squash to me too. Someone else will have to tell you about ripening time. I think I'd let the leaves alone though. Now THAT is cool. 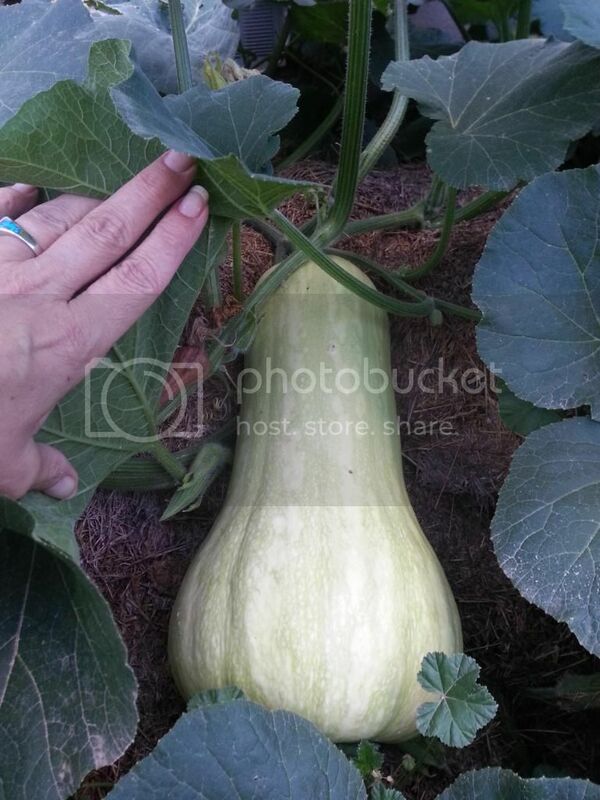 Lookit the size on that butternut! It is always such a pleasant surprise when "volunteer veggies" springs up from the compost pile! Your butternut squash looks amazing and the plant looks very healthy! To answer your questions, it looks like it will have plenty of time to ripen and NO...I would not cut any leaves to hasten ripening. But what I would do is look for other little squash buds and pinch them off of the same vine. No more than 3 maximum if you want them to ripen before the growing season ends. You really want the plant to put as much energy into the fruit that is already there instead of diverting that same energy to grow more fruit. 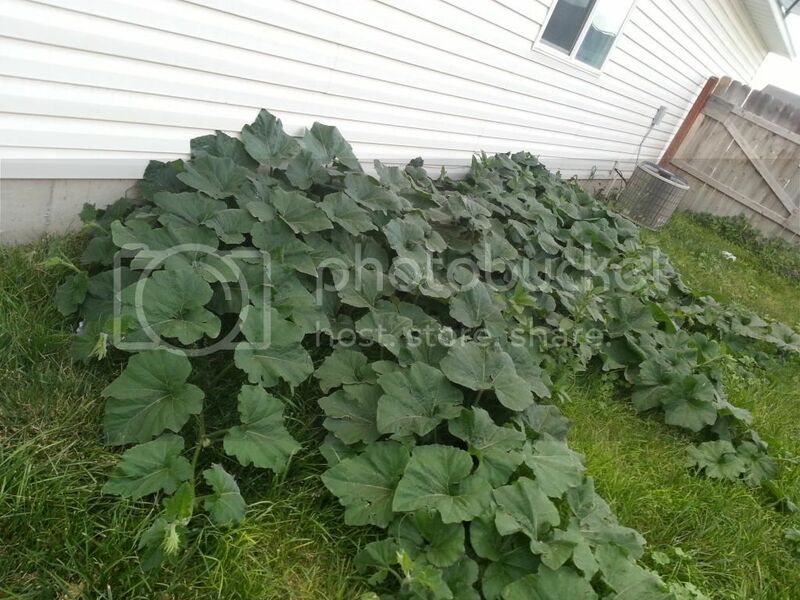 And because squash are heavy feeders, you may also want to side dress with a low-nitrogen fertilizer and water well. Last edited by RVcook; 08-19-2014 at 09:48 AM.. I've never had a successful garden before, so now I know I can grow butternut squash. I have a problem though. This house is a rental and we will be closing on a purchased home on the 12th of September. Of course it will take us some time to move - probably, at least, until the end of September. Our average first frost is 9/16 and I've read that butternuts will be fine with light frost. I only found one other one of similar size and several small ones and a lot of flowers. Because of the location, it doesn't get full sun until around 9:00 or maybe a little earlier. I need to know what will hasten their ripening on the vine more quickly. Should I be trimming back leaves since it doesn't get the worst sun of the day? Would that help? That's great! Better steer it away from your A/C unit. Some of the best potatoes I ever had grew up in an old compost bin.